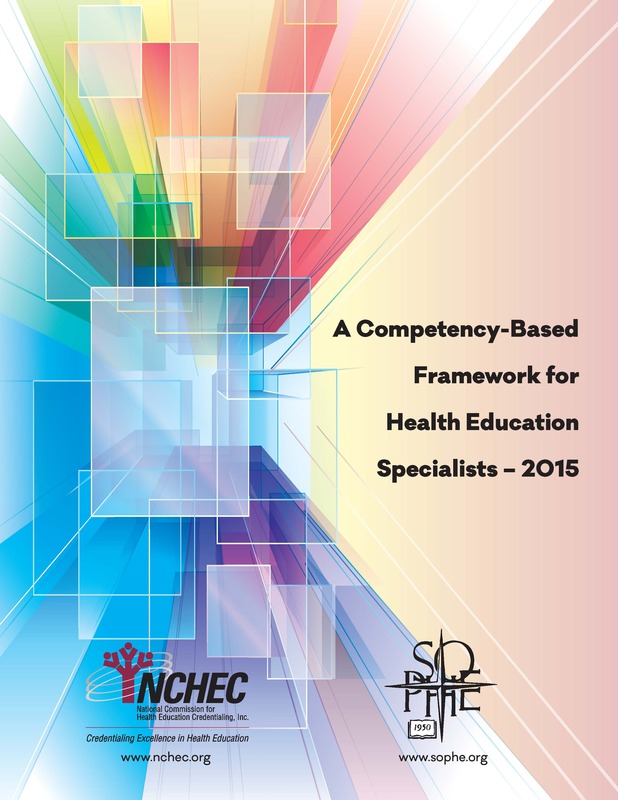 A Competency Based Framework for Health Education Specialists – 2015, includes the latest Responsibilities, Competencies, and Sub-competencies that are essential to contemporary health education/promotion practice. The book contains descriptions of the processes, outcomes, and related materials of the psychometric study of the Health Education Specialists Practice Analysis (HESPA) project. The HESPA model is designed for use by those in the health education/promotion profession as a framework for professional preparation, credentialing, and professional development. The updated model consists of 258 Sub-competencies, organized into 36 Competencies within 7 major Areas of Responsibility. Of the Sub-competencies, 141 (54.7%) were validated as entry-level practice, 117 were validated as advanced-level practice only. The publication is an essential resource for health education students, college and university faculty, health education practitioners and employers, professional development providers, leaders of professional credentialing and program accreditation, and policy makers and funding agencies.